Existing headwall of culvert that drains into Bingamon Creek. Actions by the West Virginia Department of Environmental Protection to force the clean up of a coal-mining spill at a Harrison County coal refuse recovery site have gotten a little bit of media attention in recent weeks. But there’s a whole lot more to this story, according to a new report put together by the U.S. Office of Surface Mining, Reclamation and Enforcement. And in taking its own actions at this site, OSMRE officials at the agency’s Charleston field office are taking advantage of a new Obama administration policy aimed at improving federal oversight of state mining regulators. The 38-page report, available here, says that not only were there on-the-ground pollution problems at the Coal Valley LLC site near Enterprise, but also that the WVDEP played a role in those problems by issuing a permit that did not comply with the state’s federally approved program for regulating surface mining operations. — The company initially got approval to dispose of runoff by dumping it through a borehole into an old underground mine that had already filled up — meaning there was really no place for the new discharge to go. — OSM investigators found that the DEP-issued permit had no real concrete and feasible plan for how old coal waste materials from the site would be removed safely, without creating a dangerous new impoundment. 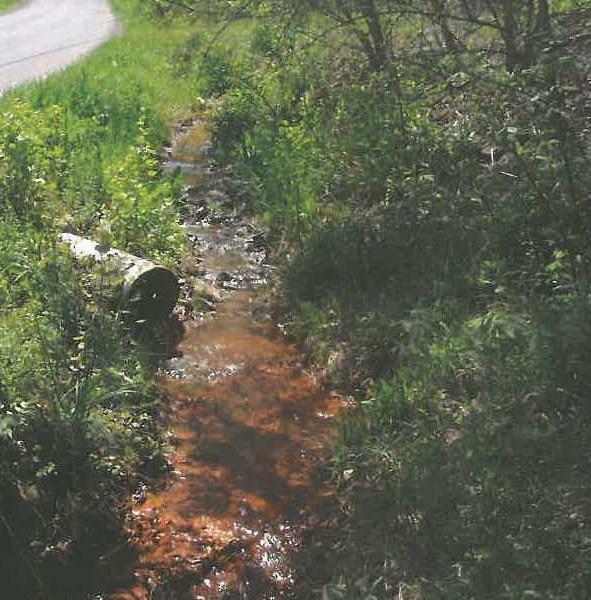 — There was no detailed analysis of the potential for activities of the site to cause localized flooding, and no plan for treating existing acid mine drainage at the site. “Our big issue with this site is that they don’t have a plan that works for controlling runoff,” Roger Calhoun, director of OSMRE’s Charleston field office, told me this afternoon. But what is especially interesting here is the regulatory and political back drop to all of this … Remember that OSMRE has over the years slowly and then dramatically backed off any real strong oversight of state programs. Among other things, the agency stopped doing oversight of specific permitting problems like the one address here. When OSMRE inspectors find problems during their inspections of mine sites, they issue “10-day notices” to give states more time to resolve the problems. But since the Bush administration, those notices have not involved noting specific problems with the way states handle permitting. (OSMRE’s decision to stop such involvement in permitting dates back to the dispute over the potential impacts of the Mettiki longwall operation on the West Virginia-Maryland border). Now, the Obama administration has promised to improve OSMRE, but has already received significant heat for taking even baby steps toward doing so (see also here and here). But in January, OSMRE Director Joe Pizarchik issued this policy, instructing his field office staff they were to start issuing 10-Day Notices when they find state permit actions were lacking. This move has already prompted Virginia’s Attorney General to threaten to sue OSMRE if the federal agency doesn’t back off. In some ways, the 10-Day Notice procedure is a pretty weak way of enforcing anything. All it does is give states time to fix problems … but in his new policy guidelines, Pizarchik indicates OSMRE may consider in some situations asserting federal jurisdiction over particular permits if states don’t fall in line. This is a good, solid case where OSM has questioned what did or could occur out there, and whether a permit was not in compliance with the regulations. The ability to deal with more complex engineering issues adds to our ability to get into improvements the state needs to make and do it at the front-end, in the permit process. It’s pretty extraordinary compared to what’s been done before. I think it exceeds their authority under the law. Tom Clarke’s statement pretty much confirms the “we’ve always done it this way” attitude of the WV DEP.